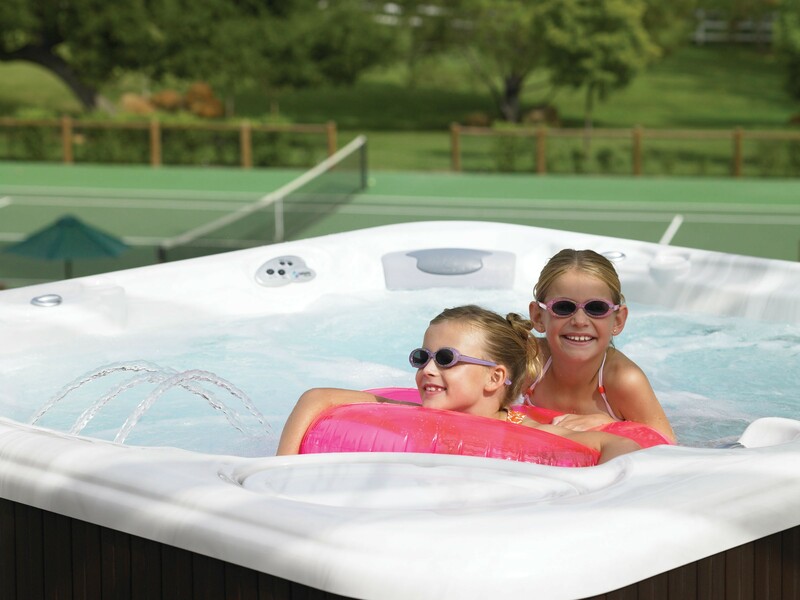 Follow these top 5 tips for a happy hot tub soaking experience by using the right water care products. TIP #1: Use only chemical products specifically labeled for hot tubs and spas. Read the fine print on the label. Swimming pool chemicals should never be used to treat a spa or hot tub. Using pool chemicals can cause severe water problems related to pH and mineral content and have a long-term harmful effect on your spa equipment. TIP#2: Avoid big box store chemicals including online chemical sellers with no local ties. Most big box stores offer both swimming pool and spa/hot tub chemicals. The problem with buying big box chemicals is that you don’t know what you are getting. One example I saw lately is a product sold in a box store for use in oxidizing hot tub water. It turned out to be the same product as a swimming pool chemical just re-packaged! The problem with using this chemical in a spa/hot tub is that it can cause severe damage to the heater and is a dangerous product to use and handle. Much of what the big box stores sell comes from overseas and can contain contaminants, fillers and binders. Many of these fillers and binders can cause surface staining and have caused severe skin rashes on bathers. You don’t need to be a chemist when you buy spa chemicals made in America. You’ll have peace of mind, fewer problems AND protect your spa equipment. TIP #3: Stick to the same brand for all chemical products for your hot tub. Do not mix brands! Buy and use all spa products in the same brand family. This ensures that you are getting the same percentage, dosage and source chemicals consistently. Switching brands and buying strictly on price can lead to chemistry problems and damage to the spa. One example is clarifiers. There is a misconception that clarifiers should be used only when the water turns cloudy. Clarifiers will work to clear cloudy water, but the real purpose of a clarifier is to prevent water from becoming cloudy in the first place. Clarifiers should be used weekly. It doesn’t make a difference what type of clarifier is used for water quality as long as it’s a natural non-petroleum based clarifier. However, those who are environmentally conscious will purchase SeaKlear Spa Natural Clarifier which is eco-friendly and made from crab shells. TIP #4: Hot tubs are NOT small swimming pools. Read your owners’ manual so you’ll have an understanding of what’s involved in proper maintenance and care. TIP #5: Trust your local spa professional and buy local, in other words the dealer who sold you the hot tub or spa. If your original dealer is out of business, look for a Hot Spring Spa dealer. 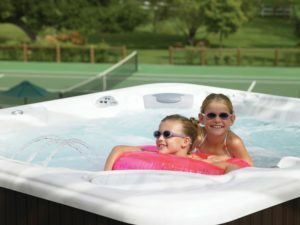 They’re located all across the United States and they are likely to be the oldest hot tub dealer in your town or city. And, typically they’ve had years of experience and can help you understand the water in your tub and how best to care for it. Of course, if you live in the Puget Sound area, come to Olympic Hot Tub Company for all of your water care products. We’ve 34 years of experience. Your goal should always be a crystal clear, clean water soaking experience.